Have you ever finished a book or movie and felt like you’d gone along on the journey with the characters and, alongside them, been somehow transformed? You laughed, you cried, and something inside you changed, however temporarily. You’re feeling catharsis. Catharsis, as defined in the dictionary, is the purging of the emotions or relieving of emotional tensions, especially through certain kinds of art, as tragedy or music. When I experience Catharsis (as either a reader/viewer or as a writer), it feels like I’ve been through a torrential rainstorm and been washed clean. Sometimes catharsis comes from places where you least expect it. 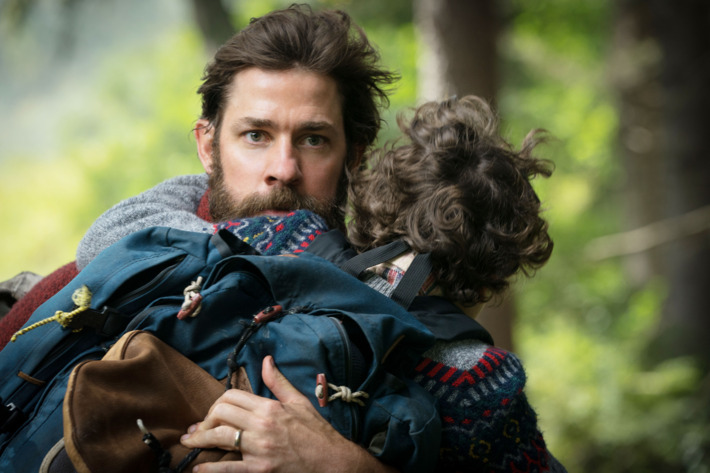 I finally got around to seeing A Quiet Place (some spoilers, but as vague as possible). They billed it as a sci-fi monster flick, so what I was expecting was a CGI-filled effects fest. And yeah, the effects were there. But I was immediately hooked on the characters and the opening tragedy. This was a family I could relate to, and the tension of the silence, of holding back when they just wanted to yell at each other, or throw things, or scream in frustration or pain – it felt like all the emotion I was experiencing along with the characters was being pushed into a pressure cooker, ready to explode. When they finally did get to speak and scream, there was such a physical sense of relief, even as a viewer. And the end came together with pieces that paid homage to characters no longer there in a way that was unexpected and yet perfect – and, though the danger was still there, I was left with a sense of triumph. Pathos – You need to care about the character’s plight and feel the stakes and tension are high enough for you to invest emotionally. This was off the charts in A Quiet Place. Conventional wisdom says that a character’s survival is never a high enough stake – and that’s where most SF monster flicks leave it. Simply by making the stakes focus on the other members of this family – and having each and every one of the characters willing to put themselves in danger for the others – elevated it. Payoff – The ending has to have a sense of “rightness.” True catharsis comes at the moment where everything falls into place. In a traditional tragedy, this is where the character faces the consequences of his tragic flaw. In a Shakespearean-style comedy, this is where there’s a wedding or a perfect kiss. What The Quiet Place gives you is more bittersweet and complex – and leaves the conclusion hanging in a way that lets the viewer fill in a lot of the answers -- but somehow still manages to be satisfying. If you want to actually SEE what catharsis looks like, watch The Truman Show (yes, the Jim Carrey movie), and instead of the main action, pay attention to the reactions Truman’s “audience” have in the clips throughout the movie. This is what you want your readers to be experiencing as they make their way through your novel or screenplay. You can hope to give them something more complex than Truman’s struggle, something that they spend the next few days thinking about as they pick apart the complexities of your characters and your world. If you want to learn more about how to pull this off in your own work, don’t miss my Achieving Catharsis seminar on Sunday, August 12, 2018 - 3:00PM TO 6:00PM. You can check out the Seminars Page for more info or register directly via the button below. Thanks for reading!